Mevys Keratin - Just Beauty Products, Inc.
Mevys Keratin There are 19 products. Mevys Lemon-Lime Keratin Kit 1)Clarifying Shampoo 1)Lemon-Lime Keratin 1000ml each. Because it is rinsed off in the same day, it can be used on all hair types, although it is recommended for medium to thick hair. 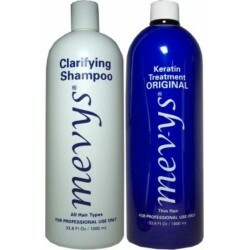 Mevys Original Keratin Kit 1)Clarifying Shampoo 1)Original Keratin 1000ml each. Has been specially designed for thin hair and soft curls. It will not weigh down the hair, nor will it leave the hair greasy. Frizz and curls will be eliminated, while leaving the hair silky soft. Mevys Peach Keratin Kit 1)Clarifying Shampoo 1)Peach Keratin 1000ml each. Has been specially designed for medium hair and medium curls. It will not weigh down the hair, nor will it leave the hair greasy. 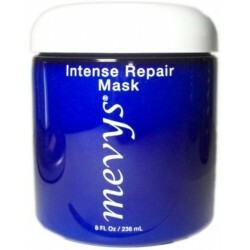 Mevys Intense Repair Mask 236ml/8oz. Restore the shine and softness of naturally healthy hair and it will make your hair feel like new again. Mevys Permanent Professional Hair Color Cream 3oz/85.5gr. Mevys Professional Color Line has an exclusive formula Vital-Shine Full Coverage that provides a perfect coverage to gray hair giving it shine and vitality. 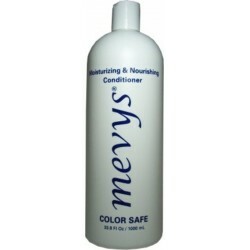 Mevys Moisturizing & Nourishing Conditioner Color Safe 33.8 oz. It has been specially formulated to gently restore moisture and leave the hair, smooth and silky. Mevys Moisturizing & Nourishing Conditioner Color Safe 16oz. It has been specially formulated to gently restore moisture and leave the hair, smooth and silky. 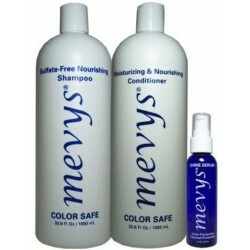 Mevys Sulfate-Free Nourishing Shampoo Color Safe 33.8 oz. 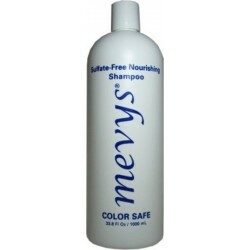 Mevys Sulfate-Free Nourishing Shampoo Color Safe 33.8 oz. he sulfate-free surfactant makes the shampoo milder, while making this shampoo color safe, preventing hair color from fading. 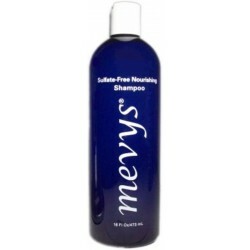 Mevys Sulfate-Free Nourishing Shampoo Color Safe 16 oz. 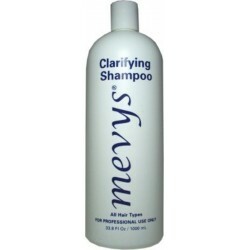 Mevys Sulfate-Free Nourishing Shampoo Color Safe 16 oz. he sulfate-free surfactant makes the shampoo milder, while making this shampoo color safe, preventing hair color from fading. 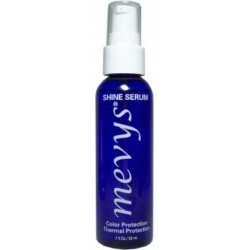 Mevys Shine Serum 2 oz. (Color Protection - Thermal Protection). Specially designed to seal the hair cuticle. 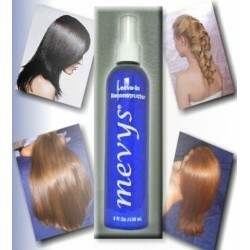 Mevys Shine Serum helps lock down hair color while adding spectacular shine. Mevys Lemon-Lime Keratin Kit 4oz (3 Items). Because it is rinsed off in the same day, it can be used on all hair types, although it is recommended for medium to thick hair. Mevys Keratin Maintenance Group (3 Items). Makes your keratin treatment last longer and keep the shine and natural look you always dreamed of. Mevys Leave-In Reconstructor Spray 8 Oz. 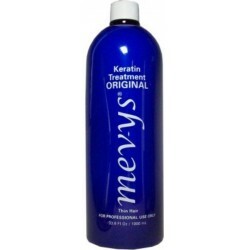 Mevys Leave-In Reconstructor Spray 8 Oz. Proteins and amino acids in the formulas help to nourish and repair damaged hair, and at the same time, preventing future damage.